Last week, the Supreme Court issued its long-awaited opinion in Jesner v. Arab Bank, a case that many feared might sound the death knell for U.S.-based human rights litigation by foreclosing on the Alien Tort Statute (ATS) and related federal common law claims for international law violations. Ultimately, the Court only declined to recognize claims against foreign corporations, a narrower holding than some had feared. Underlying the fractured majority’s opinion, however, is a logic that bodes poorly for any future expansion of the federal common law into areas related to foreign relations and national security. At issue in Jesner are the civil claims of approximately 6,000 foreign nationals injured in attacks by various Palestinian terrorist groups. Each ultimately sued Arab Bank—a major Jordanian financial institution—for providing the perpetrators of these attacks with financial services, including some that were routed through Arab Bank’s New York branch. The specific question before the Court was whether the ATS, which gives federal courts “original jurisdiction o[ver] any civil action by an alien for a tort only, committed in violation of the law of nations or a treaty of the United States” could serve as the legal basis for their lawsuit against the Arab Bank. The appellate court affirmed the district court’s dismissal of the plaintiffs’ claims on the grounds that the ATS could only be used to sue individuals, not corporations. The plaintiffs then appealed to the Supreme Court. Originally enacted into law as part of the Judiciary Act of 1789, the ATS was overlooked for much of its early history but experienced a renaissance in the 1970s when litigants began to successfully use it to hold the perpetrators of overseas human rights abuses liable in U.S. courts. Congress facilitated this effort in 1992 by enacting the Torture Victim Protection Act(TVPA), which supplemented the ATS by explicitly authorizing victims of torture and extrajudicial killing to pursue such claims, subject to certain limitations. 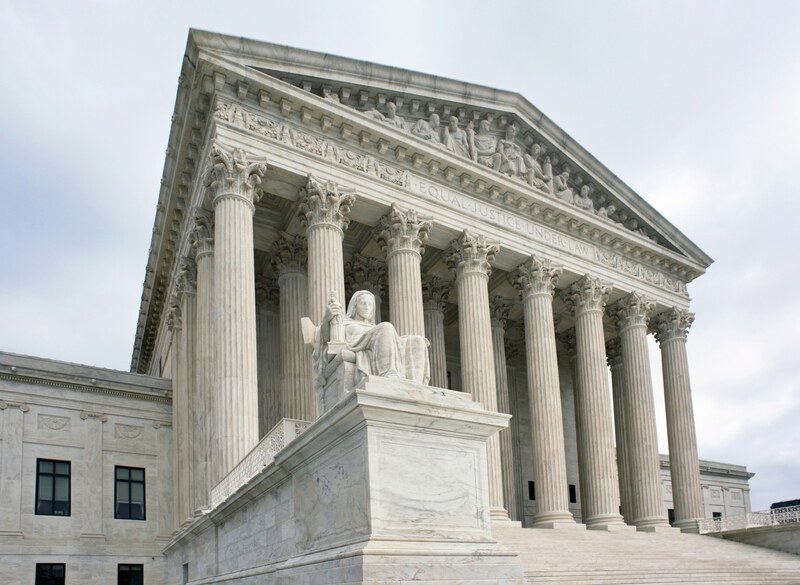 Yet the Supreme Court has remained skeptical of recognizing new types of civil claims under the ATS without similar statutory authorization. In its 2004 decision in Sosa v. Alvarez-Machain, the Court held that the ATS was only intended to “furnish jurisdiction for a relatively modest set of actions alleging violations of the law of nations” recognized separately under federal common law—namely offenses against ambassadors, violations of safe conduct, and piracy—and barred federal courts from recognizing other common law claims for international law violations “with less definite concept and acceptance among civilized nations than the[se] historical paradigms”. The Court further limited the ATS’s scope in 2013, holding in Kiobel v. Royal Dutch Petroleum that ATS claims had to “touch and concern the territory of the United States” with “sufficient force to displace the presumption against extraterritorial application” typically applied to statutes. For observers who expected the Court to continue this narrowing trend in Jesner, the opinion for the Court’s slim 5-4 majority—authored by Justice Kennedy—did not disappoint. Yet Kennedy was only joined in full by Chief Justice Roberts and Justice Thomas, leaving the fractured Court’s views on the true limits of the ATS—particularly in the light of the strong dissent authored by Justice Sotomayor and joined by the Court’s three other “liberal” justices—somewhat difficult to discern. Other parts of Justice Kennedy’s opinion hint at a willingness to go further, specifically by limiting ATS liability for all corporations. Yet Justices Alito and Gorsuch decline to join these parts. Instead, in separate concurrences—each of which Justice Thomas endorses in part but does not join—they offer narrow alternate interpretations of the ATS and emphasize foreign relations-related separation of powers concerns that they believe should bring Sosa’s willingness to recognize new categories of ATS claims into question. This focus keeps the majority from addressing possible ATS claims against U.S. corporations, but the more categorical skepticism that Alito and Gorsuch share towards expanded—and particularly foreign—ATS claims nonetheless influences the majority’s approach. Justice Sotomayor’s sharp dissent helps to demonstrate this by systematically addressing the arguments raised by the five justices in the majority. Her most powerful point relates to Justice Kennedy’s repeated assertions that the Court should defer to the political branches in light of foreign policy concerns. She agrees wholeheartedly, but then notes that the Solicitor General’s amicus brief—like the one filed by certain members of Congress—actually opposes foreclosing corporate liability in Jesner. Further, his representative stated at oral argumentthat ATS litigation against foreign corporations may actually be useful in aspects of U.S. foreign relations. While the Solicitor General recognizes that foreign corporate liability under the ATS can raise foreign relations concerns—including in the present case, where Arab Bank’s collapse under the weight of its substantial liability could trigger regional instability—he endorses addressing that risk through “tool[s] more tailored to the source of the problem than a blanket ban[,]” in Justice Sotomayor’s words. Specifically, he urges the Court to remand the matter back to the lower courts so they can evaluate whether it actually satisfies Kiobel’s extraterritoriality standard—the same disposition that the dissent ultimately endorses. By instead taking a different tack, Sotomayor implies, the majority is not deferring to the other branches but pursuing its own agenda. That agenda reflects what appears to be the true common denominator of logic underlying the majority’s holding: a general skepticism—for both constitutional and prudential reasons—about whether judicially-crafted remedies should play any role in policy areas related to foreign relations or national security. Though Kennedy often discusses this skepticism in terms of deference, it manifests as something far closer to a clear statement rule, requiring unequivocal congressional authorization for types of claims not already established in precedent. The majority’s willingness to override the executive branch’s views on the usefulness of foreign corporate liability—even where it assumes the underlying international law violation is clearly established and widely recognized—underscores the extent to which its concerns weigh against recognition absent such authorization and are likely to be determinative. Indeed, Kennedy all-but-recognizes this when he notes that, “[i]n light of the foreign-policy and separation-of-power concerns inherent in ATS litigation, there is an argument that a proper application of Sosa would preclude courts from ever recognizing any new causes of action under the ATS.” The majority declines to go quite so far explicitly in its holding, but the methodology it applies seems no less likely to produce this outcome. In this sense, Jesner is perhaps best seen as a fellow traveler to Justice Kennedy’s 2017 opinion in Ziglar v. Abbasi, which similarly rejected new common law Bivens remedies for national security-related federal constitutional violations by narrowly distinguishing them from their predecessors and citing separation-of-powers and national security concerns. While Jesner does not have to draw such distinctions as narrowly as Abbasi and neither explicitly forecloses new categories of claims, both embrace a demanding methodology that all but does so. Like in Jesner, the dissent in Abbasi—authored by Justice Breyer—urged more tailored remedies to address these concerns. There as here, however, the majority proved less inclined to prune the doctrine’s edges than to cut it down closer to the root. What will this mean in practice? That will depend in part on how the lower courts and prospective litigants react. While it forecloses foreign corporate liability, the broad and subjective nature of the test applied in Jesner may still leave some space for ATS-related innovation in the lower courts, especially if Jesner’s narrow margins—a fractured 5-4 majority, with a unified minority—make some judges more willing to push the envelope. Yet so long as the current majority remains in place and committed to applying the high thresholds evident in Jesner, such innovations are likely to face eventual problems on appeal. Over time, the repeated application of the logic in Jesner and Abbasi will likely be an effective halt to the growth of federal common law remedies in foreign relations and national security spaces, whether pursued under Bivens, the ATS, or some other vehicle. Indeed, this same logic may even bode poorly for litigants pursuing novel claims based on certain broadly worded statutes. Some have posited that advocates need to pivot from strategic litigation to popular mobilization in response to these new limitations, pushing Congress to enact statutes that unequivocally address their concerns instead of relying on novel legal arguments under less well-defined authorities. And this is certainly the route forward that the majority appears to envision. Yet the road to such legislation is likely to be difficult, especially for prospective plaintiffs from insular or disenfranchised groups poorly positioned to persuade Congress to take up their interests, such as unlawful immigrants subjected to discrimination and abuse (like the plaintiffs in Abbasi) and foreign national victims of human rights abuses (like the plaintiffs in Jesner). As he did in Abbasi, Justice Kennedy also points to other possible remedies, including criminal and civil provisions relating to genocide and slavery and the lingering possibility of ATS claims against individual corporate employees, despite the majority’s clear reservations. But this elides the array of practical difficulties such litigation is likely to encounter. Instead, for the majority of individuals affected, the most likely outcome appears to be that the Court’s restrictions on the expansion of federal common law will mean no remedy whatsoever.